1/3 cup diced Roasted Red Pepper *See below. 1 – 2 tbsp. good quality Olive Oil. Two portions freshly cooked Spaghetti (or other suitable pasta). 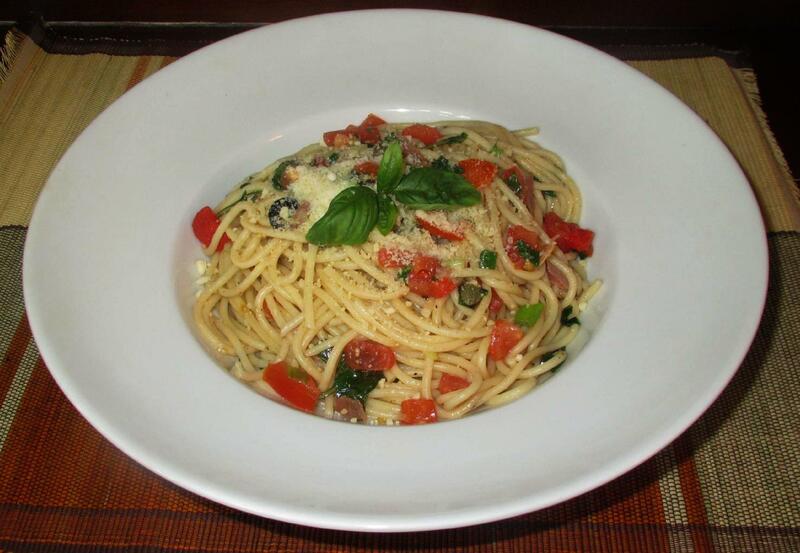 *For this recipe, I used some marinated Roasted Red Peppers I had in the refrigerator. You can use store-bought pimento, if you like, or simply substitute diced fresh red pepper. 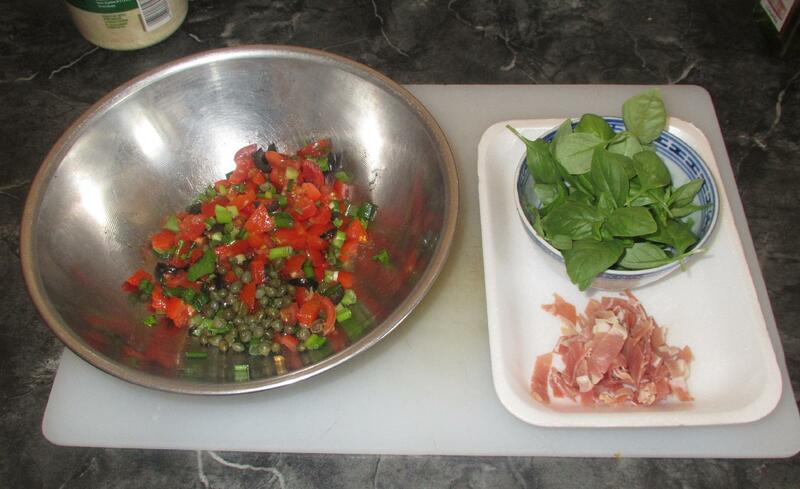 Mix together the tomatoes, peppers, scallion, olives, capers and parsley along with the olive oil and salt. Allow this to sit and marinate for at least an hours or so. 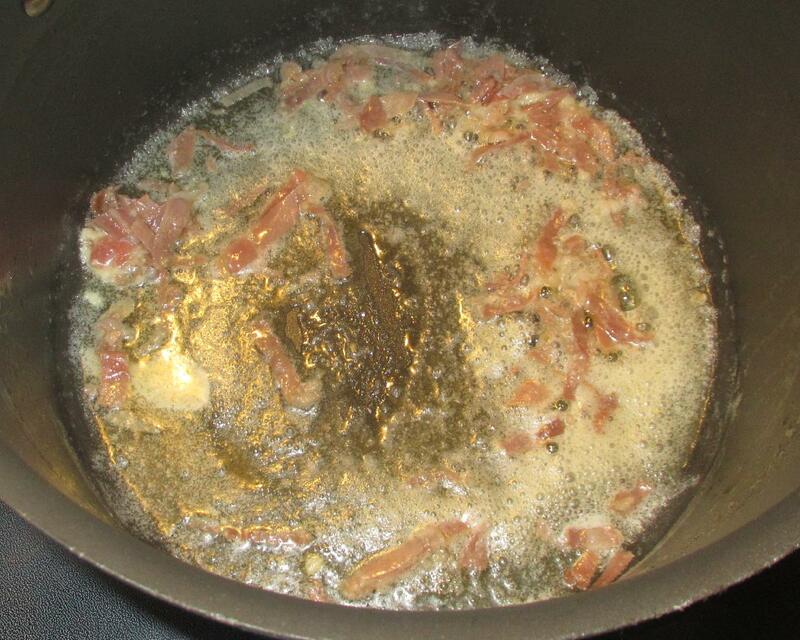 When you are ready, melt the butter in a deep pan over moderate heat and then add the garlic and prosciutto. Stir for a few seconds, then add the ground black pepper. 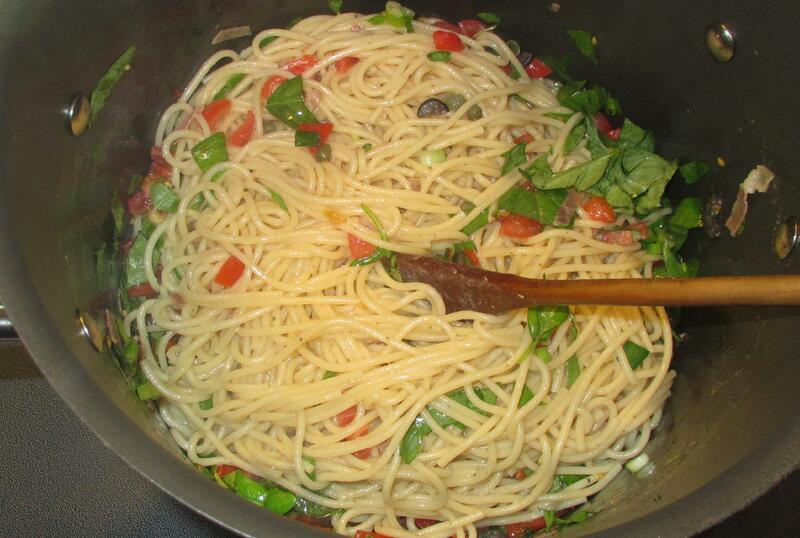 Next, add the cooked pasta, stir to heat through and coat with butter and seasonings. Toss in the marinated mixture, stir for a minute or so, and then add the basil. When the basil leaves are wilted, stir everything together one last time and served topped with a little grated Parmesan.